Seasons colour is green, here's Michu and Ratiny playing and singing in different greens! 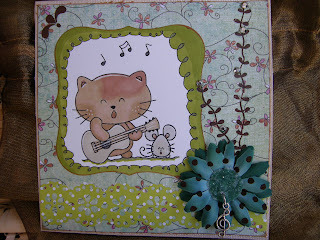 Kuva/Image: Softpencil: Two cute musicians;Värit/Mediums: Promarkers; Paperi/Paper: Basic Grey; Kukat/Flowers: Petaloo, charm:Quixotic; Rub-ons:Pink Paislee; MS punch; Cuttlebug; Spellbinders. Ihania yksityiskohtia on tässä kortissasi, kiva kokonaisuus! Niin ihana kuva! Loistavat värit kortissa. How cute! 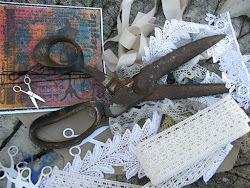 I love the sweet image and how you added the music charm. Thats the perfect touch! Thanks so much for playing the DTC this week!